46-28/79-58 NBA sides run! 71-45 NFL L116 and 96-62 NFL L158! WON Super Bowl with Patriots, NCAAF Championship with Clemson AND NCAAB Championship with Virginia! Sean is back on the diamond with a 10* TOP RATED totals winner on Tuesday night - his FAVORITE play on the MLB board! Don't even consider making a move on the diamond before checking in with Murph first! Sean has lined up another 10* TOP RATED totals beauty in MLB action on Tuesday! Find out where the value lies and make plans to COLLECT at the end of the night! Sean is releasing his 10* NHL Game of the Month for April on Tuesday night and it features the Game 7 showdown between Vegas and San Jose at 10 pm et! Don't even consider missing out as Murph delivers the cash in this critical playoff matchup! $1,000/game players have cashed in $44,270 on my All Sports picks since 06/11/18! Join now for only $53.00/day and start cashing in on more winners! 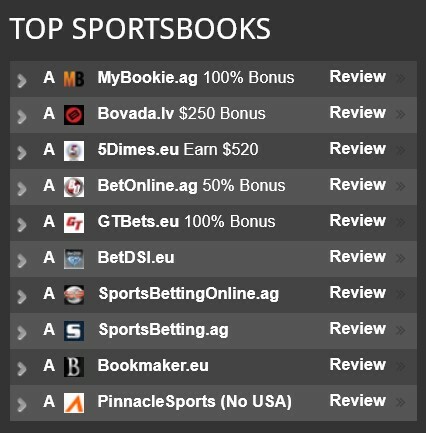 *This subscription currently includes 3 picks (1 NHL, 2 MLB) but more may be added during the term of the subscription. Get ALL of Sean's winners from ALL sports for seven days for one all-inclusive price! Get ALL of Sean's winners from ALL sports for 31 days for one all-inclusive price! My selection is on Utah plus the points over Houston at 10:35 pm et on Monday. After the Jazz were favored in Game 3 of this series on Saturday night, the line has flipped in advance of Game 4 - not surprising given the Rockets can deliver the knockout blow to Utah on Monday night in Salt Lake City. I don't expect the Jazz to go down without a fight, however, and will grab all the points I can get with them as they make their last stand on Monday. The Rockets have now won five straight meetings in this series but the Jazz do have two wins to their credit over Houston this season. There were certainly positives to take away from Saturday's loss, the least of which being the fact that Utah was in the game right down to the final whistle, actually leading but as many as eight points, and carrying a two-point lead heading into the fourth quarter. The Jazz won't shoot as poorly from the three-point line as they did in Game 3 (12-of-41). Look for that to be a difference-maker in this one. Take Utah (10*). My selection is on the 'under' between Arizona and Pittsburgh at 7:05 pm et on Monday. I'll back the 'under' at PNC Park on Monday night. Zack Godley will take the ball for the D'Backs. His overall numbers haven't been great but I do like the fact that he has worked at least into the sixth inning in all four starts, and he's pitched well against the Pirates in his career, going six innings in each of his two outings against them, allowing only five earned runs in those 12 innings of work. Joe Musgrove will counter for the Buccos. He's worked into the seventh inning in all three starts this season, giving up only two earned runs on 13 hits over 20 1/3 innings pitched. Musgrove hasn't allowed a home run in his last five starts going back to last season. Take the under (10*). Sean made his professional debut as lead handicapper for Pat Miller Sports in 2003, continuing on with The Miller Group from 2006 through August of 2009. He took the independent route in September of 2009 and while he's been in the business for 15 years professionally, sports betting has been a part of his life for as long as he can remember. His passion for sports is unmatched. The phrase ‘find something you love to do and you’ll never ‘work’ a day in your life’ is Murph's mantra. Totals have driven Sean’s success over the years - no surprise as he's widely known as a ‘numbers guru’. He owns a business degree, with a major in finance – his knack for handling numbers is deep-rooted – and he is a member of the prestigious Beta Gamma Sigma honor society for business students and scholars. Sean's love for numbers, combined with his passion for sports makes a career in sports handicapping the perfect fit. As a professional, Sean delivered seven out of nine winning NFL seasons from 2003 to 2011. He built The Miller Group from the ground up, turning it into one of America’s most respected handicapping services, thanks to an honest approach and strong belief in delivering value to the customer. Sean’s selections are based on his extensive knowledge of the game, with a strong emphasis on totals. He prides himself on going against the majority and thinking outside the box. His clients can attest to that – Sean’s unique analysis is what keeps them coming back. His approach could be considered both situational and statistical. Murphy doesn’t have a strong belief in systems, as they are rarely an indicator of future results. When you purchase one of his selections, you can always count on insightful and extensive analysis to back it up. If you're not learning something new, what are you paying for? Sean rates all of his plays from 8* to 10* with free plays qualifying as 8* releases, and the majority of his guaranteed selections warranting 10* designation. As you would expect, the higher the rating, the stronger the play. Rest assured that Sean is investing his own money in each and every play that he recommends to clients.